Description - Can you truly have too much carpet in your home? Who doesn't like walking on a soft, warm surface in the heart of winter; I know I do! 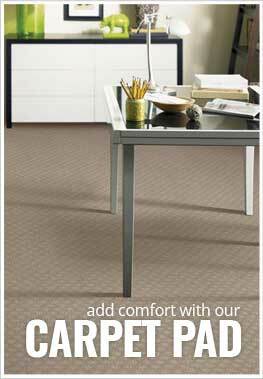 With Phenix Paragon carpet, you will get a floor that is not only comfortable but very durable. Made with SureSoftSD, this carpet is one of the softest carpets on the market. Resistant to staining, soiling and fading, this broadloom carpet is one of the most durable on the market. Easy to clean and maintain, Phenix Paragon is backed by a lifetime warranty which further reinforces why should have carpet everywhere in your home. Material - SureSoftSD® 100% Soft Solution Dyed PET Polyester. Face Weight - 45 oz./sq.yd. Recommended Uses - Phenix Paragon carpet is the perfect floor for any room in your home and will add warmth and comfort where installed. Great in any room this broadloom carpet is commonly found as flooring in bedrooms, living rooms, in dining rooms, in family rooms, as basement carpet, in home offices, as spare room carpet, in dens and much more.